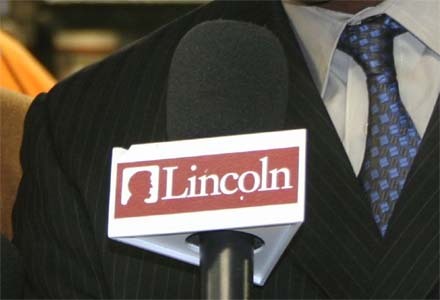 PHILADELPHIA, Nov. 12 /PRNewswire-FirstCall/ -- Lincoln Financial Group today announced that it has reached definitive agreements to sell its three television stations in Charlotte, Richmond, and Charleston, as well as its sports syndication business, to Raycom Media for $583 million in cash. Lincoln Financial also announced that it has reached a separate definitive agreement with Greater Media to sell its Charlotte radio stations for $100 million in cash. The company will continue to operate and invest in its remaining radio properties to improve value and will explore options to divest those assets as market conditions dictate. The Lincoln Financial branding of sports events has lasted only about a year. "We are pleased to have reached these agreements with Raycom Media and Greater Media," said Lincoln Financial Group President and CEO Dennis R. Glass. "Raycom has been a valuable partner in the sports syndication business and, given Raycom's presence in the southeastern U.S., is a logical partner for our television assets. Greater Media is a well-established company with significant radio holdings in Boston, Detroit, and Philadelphia, as well as throughout New Jersey. It is known for its belief in local management and community service. Both are high-quality media companies with a commitment to building these businesses." 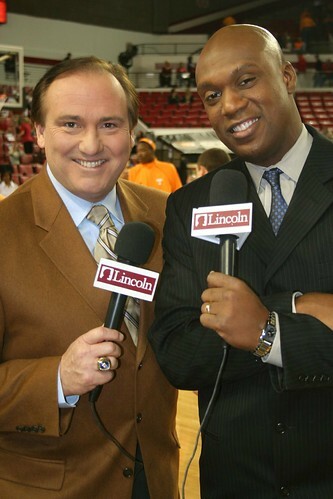 Tim Brando, left, and Barry Booker are among the talent used by Lincoln Financial Sports for SEC Basketball coverage. Net proceeds from the transactions are expected to be used primarily for debt reduction and share repurchases. The sports syndication transaction is expected to close by early December. The transactions for the television and radio properties, which are expected to close by the second quarter of 2008, are subject to regulatory approval and other customary closing conditions. Management expects to provide additional information regarding the transactions at the company's 2007 Conference for Investors and Bankers on November 13, 2007.